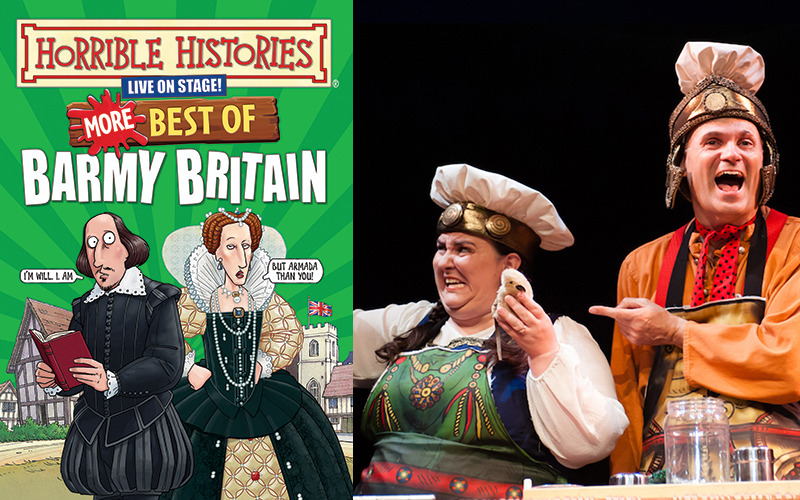 So it’s time to prepare yourselves for a special production of Horrible Histories featuring MORE of your favourite characters from our barmy past – and a brand new scene with wordy Will Shakespeare! More Best of Barmy Britain will be playing at the Garrick Theatre from 4 August - 2 September. For more information and to book your tickets call 0330 333 4811 or visit Barmy Britain online.